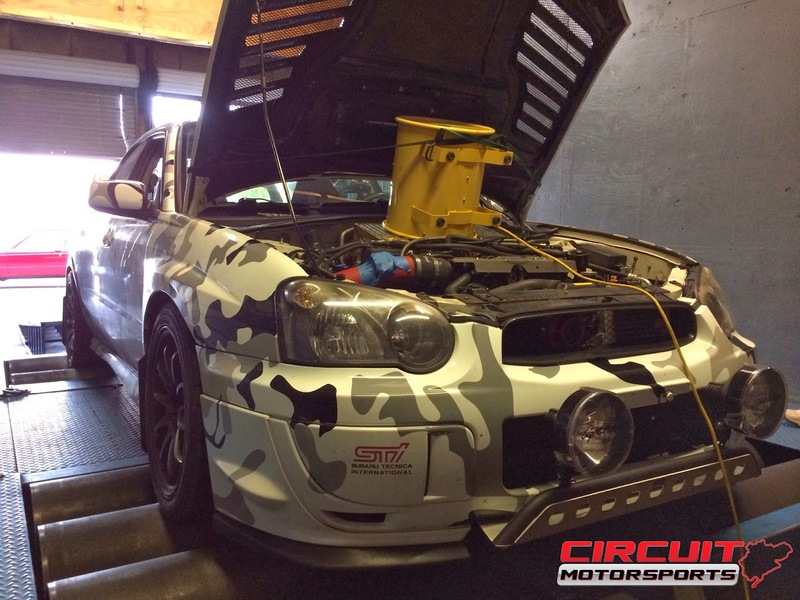 It was time for a re-tune on our Subaru WRX STi, we had changed a few things in the fuel system and needed to polish it up one last time on the Dyno. This was run on a Mustang Dyno, 80 degree temp, 70% humidity, sea level. 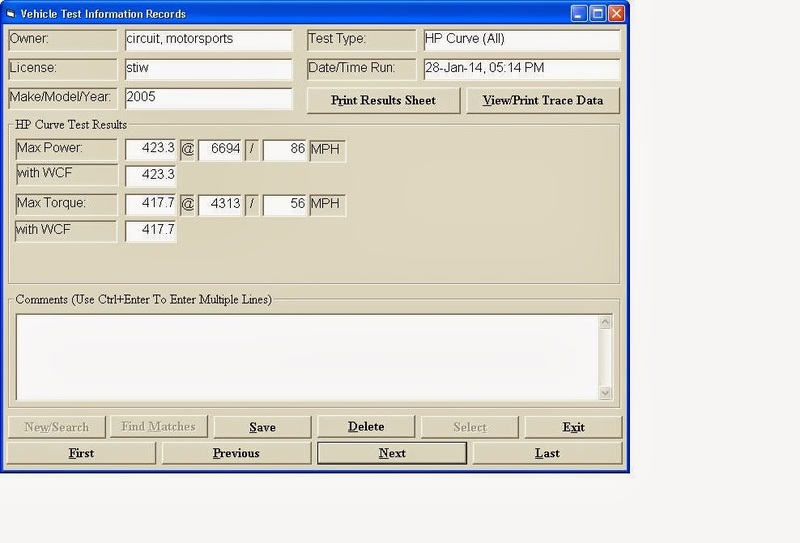 Our Pro-tuner Bob did the handy work with the ECU using Cobb Tuning software through an Accessport. The STi has a absolute tidal wave of torque early on, pinning you to the seat, and the horsepower builds and stays rock-steady all the way to redline. This is a perfect setup for a street STI. Gobs of power and torque that come on early enough to be useable, but holds on up-top for when you really need to pass that supercharged Mini-van on the backroads or tear up your local Touges. The Tune was done using Orlando Florida 93 octane. 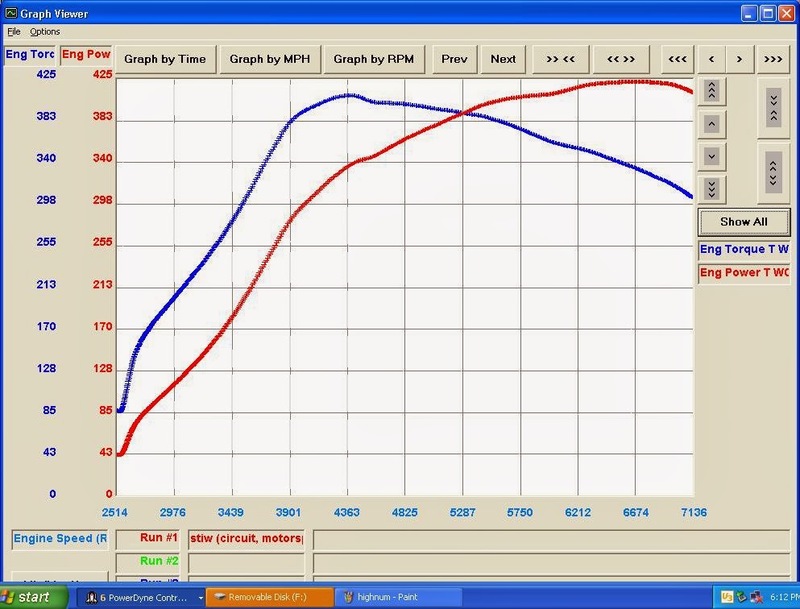 All of our tunes are setup for smooth driving, solid and progressive power and a safety margin. Tunes will exhibit Zero knock, with ideal AFR's, while being at the upper limit of what the setup can make. Next mods for the STI will be putting it on a diet to lose some weight, them moving on to more exotic power delivery. Want to build your Subaru, Make it faster, stronger better? Want one of the best tunes around? 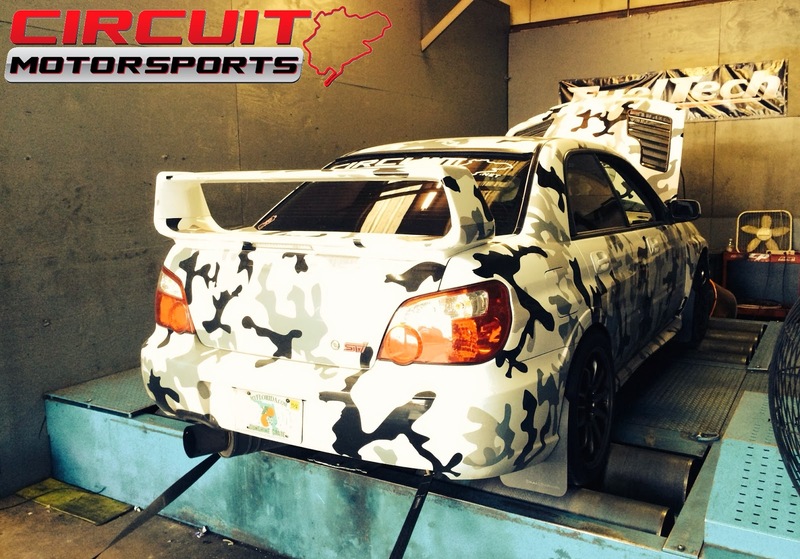 Hit up Circuit Motorsports﻿ and we can get you squared away!